The Friends of the Library Fall Book Sale is held in the Community Room. 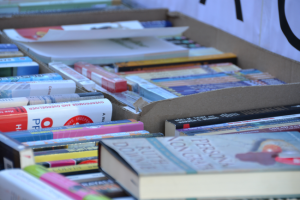 There are thousands of books for sale for children, teens and adults. Proceeds benefit the library, and have provided many items and services including DVD and book display shelves. For pricing details, see the Friend's page.